Panspermia (from Ancient Greek πᾶν (pan), meaning 'all', and σπέρμα (sperma), meaning 'seed') is the hypothesis that life exists throughout the Universe, distributed by space dust, meteoroids, asteroids, comets, planetoids, and also by spacecraft carrying unintended contamination by microorganisms. Distribution may have occurred between galaxies, and so may not be restricted to the limited scale of solar systems. Panspermia hypotheses propose (for example) that microscopic life-forms that can survive the effects of space (such as extremophiles) can become trapped in debris ejected into space after collisions between planets and small Solar System bodies that harbor life. Some organisms may travel dormant for an extended amount of time before colliding randomly with other planets or intermingling with protoplanetary disks. Under certain ideal impact circumstances (into a body of water, for example), and ideal conditions on a new planet's surfaces, it is possible that the surviving organisms could become active and begin to colonize their new environment. At least one report finds that endospores from a type of Bacillus bacteria found in Morocco can survive being heated to 420o C or 788o F, making the argument for Panspermia even stronger. Panspermia studies concentrate not on how life began, but on the methods that may cause its distribution in the Universe. Pseudo-panspermia (sometimes called "soft panspermia" or "molecular panspermia") argues that the pre-biotic organic building-blocks of life originated in space, became incorporated in the solar nebula from which planets condensed, and were further—and continuously—distributed to planetary surfaces where life then emerged (abiogenesis). From the early 1970s, it started to become evident that interstellar dust included a large component of organic molecules. Interstellar molecules are formed by chemical reactions within very sparse interstellar or circumstellar clouds of dust and gas. The dust plays a critical role in shielding the molecules from the ionizing effect of ultraviolet radiation emitted by stars. The chemistry leading to life may have begun shortly after the Big Bang, 13.8 billion years ago, during a habitable epoch when the Universe was only 10 to 17 million years old. Though the presence of life is confirmed only on the Earth, some scientists think that extraterrestrial life is not only plausible, but probable or inevitable. Probes and instruments have started examining other planets and moons in the Solar System and in other planetary systems for evidence of having once supported simple life, and projects such as SETI attempt to detect radio transmissions from possible extraterrestrial civilizations. The first known mention of the term was in the writings of the 5th-century BC Greek philosopher Anaxagoras. Panspermia began to assume a more scientific form through the proposals of Jöns Jacob Berzelius (1834), Hermann E. Richter (1865), Kelvin (1871), Hermann von Helmholtz (1879) and finally reaching the level of a detailed scientific hypothesis through the efforts of the Swedish chemist Svante Arrhenius (1903). Fred Hoyle (1915–2001) and Chandra Wickramasinghe (born 1939) were influential proponents of panspermia. In 1974 they proposed the hypothesis that some dust in interstellar space was largely organic (containing carbon), which Wickramasinghe later proved to be correct. Hoyle and Wickramasinghe further contended that life forms continue to enter the Earth's atmosphere, and may be responsible for epidemic outbreaks, new diseases, and the genetic novelty necessary for macroevolution. In an Origins Symposium presentation on April 7, 2009, physicist Stephen Hawking stated his opinion about what humans may find when venturing into space, such as the possibility of alien life through the theory of panspermia: "Life could spread from planet to planet or from stellar system to stellar system, carried on meteors." Three series of astrobiology experiments have been conducted outside the International Space Station between 2008 and 2015 (EXPOSE) where a wide variety of biomolecules, microorganisms, and their spores were exposed to the solar flux and vacuum of space for about 1.5 years. Some organisms survived in an inactive state for considerable lengths of time, and those samples sheltered by simulated meteorite material provide experimental evidence for the likelihood of the hypothetical scenario of lithopanspermia. Several simulations in laboratories and in low Earth orbit suggest that ejection, entry and impact is survivable for some simple organisms. In 2015, remains of biotic material were found in 4.1 billion-year-old rocks in Western Australia, when the young Earth was about 400 million years old. According to one researcher, "If life arose relatively quickly on Earth … then it could be common in the universe." In April 2018, a Russian team published a paper which disclosed that they found DNA on the exterior of the ISS from land and marine bacteria similar to those previously observed in superficial micro layers at the Barents and Kara seas' coastal zones. They conclude "The presence of the wild land and marine bacteria DNA on the ISS suggests their possible transfer from the stratosphere into the ionosphere with the ascending branch of the global atmospheric electrical circuit. Alternatively, the wild land and marine bacteria as well as the ISS bacteria may all have an ultimate space origin." In October 2018, Harvard astronomers presented an analytical model that suggests matter—and potentially dormant spores—can be exchanged across the vast distances between galaxies, a process termed 'galactic panspermia', and not be restricted to the limited scale of solar systems. The detection of an extra-solar object named ʻOumuamua crossing the inner Solar System in a hyperbolic orbit confirms the existence of a continuing material link with exoplanetary systems. Panspermia can be said to be either interstellar (between star systems) or interplanetary (between planets in the same star system); its transport mechanisms may include comets, radiation pressure and lithopanspermia (microorganisms embedded in rocks). Interplanetary transfer of nonliving material is well documented, as evidenced by meteorites of Martian origin found on Earth. Space probes may also be a viable transport mechanism for interplanetary cross-pollination in the Solar System or even beyond. However, space agencies have implemented planetary protection procedures to reduce the risk of planetary contamination, although, as recently discovered, some microorganisms, such as Tersicoccus phoenicis, may be resistant to procedures used in spacecraft assembly clean room facilities. In 2012, mathematician Edward Belbruno and astronomers Amaya Moro-Martín and Renu Malhotra proposed that gravitational low-energy transfer of rocks among the young planets of stars in their birth cluster is commonplace, and not rare in the general galactic stellar population. Deliberate directed panspermia from space to seed Earth or sent from Earth to seed other planetary systems have also been proposed. One twist to the hypothesis by engineer Thomas Dehel (2006), proposes that plasmoid magnetic fields ejected from the magnetosphere may move the few spores lifted from the Earth's atmosphere with sufficient speed to cross interstellar space to other systems before the spores can be destroyed. In 1903, Svante Arrhenius published in his article The Distribution of Life in Space, the hypothesis now called radiopanspermia, that microscopic forms of life can be propagated in space, driven by the radiation pressure from stars. Arrhenius argued that particles at a critical size below 1.5 μm would be propagated at high speed by radiation pressure of the Sun. However, because its effectiveness decreases with increasing size of the particle, this mechanism holds for very tiny particles only, such as single bacterial spores. The main criticism of radiopanspermia hypothesis came from Iosif Shklovsky and Carl Sagan, who pointed out the proofs of the lethal action of space radiations (UV and X-rays) in the cosmos. Regardless of the evidence, Wallis and Wickramasinghe argued in 2004 that the transport of individual bacteria or clumps of bacteria, is overwhelmingly more important than lithopanspermia in terms of numbers of microbes transferred, even accounting for the death rate of unprotected bacteria in transit. Then, data gathered by the orbital experiments ERA, BIOPAN, EXOSTACK and EXPOSE, determined that isolated spores, including those of B. subtilis, were killed by several orders of magnitude if exposed to the full space environment for a mere few seconds, but if shielded against solar UV, the spores were capable of surviving in space for up to six years while embedded in clay or meteorite powder (artificial meteorites). Though minimal protection is required to shelter a spore against UV radiation, exposure to solar UV and cosmic ionizing radiation of unprotected DNA, break it up into its bases. Also, exposing DNA to the ultrahigh vacuum of space alone is sufficient to cause DNA damage, so the transport of unprotected DNA or RNA during interplanetary flights powered solely by light pressure is extremely unlikely. The feasibility of other means of transport for the more massive shielded spores into the outer Solar System – for example, through gravitational capture by comets – is at this time unknown. Based on experimental data on radiation effects and DNA stability, it has been concluded that for such long travel times, boulder-sized rocks which are greater than or equal to 1 meter in diameter are required to effectively shield resistant microorganisms, such as bacterial spores against galactic cosmic radiation. These results clearly negate the radiopanspermia hypothesis, which requires single spores accelerated by the radiation pressure of the Sun, requiring many years to travel between the planets, and support the likelihood of interplanetary transfer of microorganisms within asteroids or comets, the so-called lithopanspermia hypothesis. Lithopanspermia, the transfer of organisms in rocks from one planet to another either through interplanetary or interstellar space, remains speculative. Although there is no evidence that lithopanspermia has occurred in the Solar System, the various stages have become amenable to experimental testing. Planetary ejection — For lithopanspermia to occur, researchers have suggested that microorganisms must survive ejection from a planetary surface which involves extreme forces of acceleration and shock with associated temperature excursions. Hypothetical values of shock pressures experienced by ejected rocks are obtained with Martian meteorites, which suggest the shock pressures of approximately 5 to 55 GPa, acceleration of 3 Mm/s2 and jerk of 6 Gm/s3 and post-shock temperature increases of about 1 K to 1000 K. To determine the effect of acceleration during ejection on microorganisms, rifle and ultracentrifuge methods were successfully used under simulated outer space conditions. Survival in transit — The survival of microorganisms has been studied extensively using both simulated facilities and in low Earth orbit. A large number of microorganisms have been selected for exposure experiments. It is possible to separate these microorganisms into two groups, the human-borne, and the extremophiles. Studying the human-borne microorganisms is significant for human welfare and future manned missions; whilst the extremophiles are vital for studying the physiological requirements of survival in space. Atmospheric entry — An important aspect of the lithopanspermia hypothesis to test is that microbes situated on or within rocks could survive hypervelocity entry from space through Earth's atmosphere (Cockell, 2008). As with planetary ejection, this is experimentally tractable, with sounding rockets and orbital vehicles being used for microbiological experiments. B. subtilis spores inoculated onto granite domes were subjected to hypervelocity atmospheric transit (twice) by launch to a ∼120 km altitude on an Orion two-stage rocket. The spores were shown to have survived on the sides of the rock, but they did not survive on the forward-facing surface that was subjected to a maximum temperature of 145 °C. In separate experiments, as part of the ESA STONE experiment, numerous organisms were embedded in different types or rocks and were mounted in the heat shield of six Foton re-entry capsules. During reentry, the rock samples were subjected to temperatures and pressure loads comparable to those experienced in meteorites. The exogenous arrival of photosynthetic microorganisms could have quite profound consequences for the course of biological evolution on the inoculated planet. As photosynthetic organisms must be close to the surface of a rock to obtain sufficient light energy, atmospheric transit might act as a filter against them by ablating the surface layers of the rock. Although cyanobacteria have been shown to survive the desiccating, freezing conditions of space in orbital experiments, this would be of no benefit as the STONE experiment showed that they cannot survive atmospheric entry. Thus, non-photosynthetic organisms deep within rocks have a chance to survive the exit and entry process. (See also: Impact survival.) Research presented at the European Planetary Science Congress in 2015 suggests that ejection, entry and impact is survivable for some simple organisms. Thomas Gold, a professor of astronomy, suggested in 1960 the hypothesis of "Cosmic Garbage", that life on Earth might have originated accidentally from a pile of waste products dumped on Earth long ago by extraterrestrial beings. Directed panspermia concerns the deliberate transport of microorganisms in space, sent to Earth to start life here, or sent from Earth to seed new planetary systems with life by introduced species of microorganisms on lifeless planets. The Nobel prize winner Francis Crick, along with Leslie Orgel proposed that life may have been purposely spread by an advanced extraterrestrial civilization, but considering an early "RNA world" Crick noted later that life may have originated on Earth. It has been suggested that 'directed' panspermia was proposed in order to counteract various objections, including the argument that microbes would be inactivated by the space environment and cosmic radiation before they could make a chance encounter with Earth. Conversely, active directed panspermia has been proposed to secure and expand life in space. This may be motivated by biotic ethics that values, and seeks to propagate, the basic patterns of our organic gene/protein life-form. The panbiotic program would seed new planetary systems nearby, and clusters of new stars in interstellar clouds. These young targets, where local life would not have formed yet, avoid any interference with local life. For example, microbial payloads launched by solar sails at speeds up to 0.0001 c (30,000 m/s) would reach targets at 10 to 100 light-years in 0.1 million to 1 million years. Fleets of microbial capsules can be aimed at clusters of new stars in star-forming clouds, where they may land on planets or be captured by asteroids and comets and later delivered to planets. Payloads may contain extremophiles for diverse environments and cyanobacteria similar to early microorganisms. Hardy multicellular organisms (rotifer cysts) may be included to induce higher evolution. where A(target) is the cross-section of the target area, dy is the positional uncertainty at arrival; a – constant (depending on units), r(target) is the radius of the target area; v the velocity of the probe; (tp) the targeting precision (arcsec/yr); and d the distance to the target, guided by high-resolution astrometry of 1×10−5 arcsec/yr (all units in SIU). These calculations show that relatively near target stars(Alpha PsA, Beta Pictoris) can be seeded by milligrams of launched microbes; while seeding the Rho Ophiochus star-forming cloud requires hundreds of kilograms of dispersed capsules. Directed panspermia to secure and expand life in space is becoming possible because of developments in solar sails, precise astrometry, extrasolar planets, extremophiles and microbial genetic engineering. After determining the composition of chosen meteorites, astroecologists performed laboratory experiments that suggest that many colonizing microorganisms and some plants could obtain many of their chemical nutrients from asteroid and cometary materials. However, the scientists noted that phosphate (PO4) and nitrate (NO3–N) critically limit nutrition to many terrestrial lifeforms. With such materials, and energy from long-lived stars, microscopic life planted by directed panspermia could find an immense future in the galaxy. A number of publications since 1979 have proposed the idea that directed panspermia could be demonstrated to be the origin of all life on Earth if a distinctive 'signature' message were found, deliberately implanted into either the genome or the genetic code of the first microorganisms by our hypothetical progenitor. Unfortunately, what they’ve so honestly described is good old honest garbage ... Their methods failed to recognize a well-known functional association in the genetic code; they did not rule out the operation of natural law before rushing to falsely infer design ... We certainly don’t need to invoke panspermia. Nothing in the genetic code requires design. and the authors haven’t demonstrated otherwise. In a later peer-reviewed article, the authors address the operation of natural law in an extensive statistical test, and draw the same conclusion as in the previous article. In special sections they also discuss methodological concerns raised by PZ Myers and some others. Pseudo-panspermia (sometimes called soft panspermia, molecular panspermia or quasi-panspermia) proposes that the organic molecules used for life originated in space and were incorporated in the solar nebula, from which the planets condensed and were further —and continuously— distributed to planetary surfaces where life then emerged (abiogenesis). From the early 1970s it was becoming evident that interstellar dust consisted of a large component of organic molecules. The first suggestion came from Chandra Wickramasinghe, who proposed a polymeric composition based on the molecule formaldehyde (CH2O). Interstellar molecules are formed by chemical reactions within very sparse interstellar or circumstellar clouds of dust and gas. Usually this occurs when a molecule becomes ionized, often as the result of an interaction with cosmic rays. This positively charged molecule then draws in a nearby reactant by electrostatic attraction of the neutral molecule's electrons. Molecules can also be generated by reactions between neutral atoms and molecules, although this process is generally slower. The dust plays a critical role of shielding the molecules from the ionizing effect of ultraviolet radiation emitted by stars. A 2008 analysis of 12C/13C isotopic ratios of organic compounds found in the Murchison meteorite indicates a non-terrestrial origin for these molecules rather than terrestrial contamination. Biologically relevant molecules identified so far include uracil, an RNA nucleobase, and xanthine. These results demonstrate that many organic compounds which are components of life on Earth were already present in the early Solar System and may have played a key role in life's origin. In August 2011, a report, based on NASA studies with meteorites found on Earth, was published suggesting building blocks of DNA (adenine, guanine and related organic molecules) may have been formed extraterrestrially in outer space. In October 2011, scientists reported that cosmic dust contains complex organic matter ("amorphous organic solids with a mixed aromatic-aliphatic structure") that could be created naturally, and rapidly, by stars. One of the scientists suggested that these complex organic compounds may have been related to the development of life on Earth and said that, "If this is the case, life on Earth may have had an easier time getting started as these organics can serve as basic ingredients for life." In August 2012, and in a world first, astronomers at Copenhagen University reported the detection of a specific sugar molecule, glycolaldehyde, in a distant star system. The molecule was found around the protostellar binary IRAS 16293-2422, which is located 400 light years from Earth. Glycolaldehyde is needed to form ribonucleic acid, or RNA, which is similar in function to DNA. This finding suggests that complex organic molecules may form in stellar systems prior to the formation of planets, eventually arriving on young planets early in their formation. In March 2013, a simulation experiment indicate that dipeptides (pairs of amino acids) that can be building blocks of proteins, can be created in interstellar dust. In May 2016, the Rosetta Mission team reported the presence of glycine, methylamine and ethylamine in the coma of 67P/Churyumov-Gerasimenko. This, plus the detection of phosphorus, is consistent with the hypothesis that comets played a crucial role in the emergence of life on Earth. The chemistry of life may have begun shortly after the Big Bang, 13.8 billion years ago, during a habitable epoch when the Universe was only 10–17 million years old. According to the panspermia hypothesis, microscopic life—distributed by meteoroids, asteroids and other small Solar System bodies—may exist throughout the universe. Nonetheless, Earth is the only place in the universe known by humans to harbor life. The sheer number of planets in the Milky Way galaxy, however, may make it probable that life has arisen somewhere else in the galaxy and the universe. It is generally agreed that the conditions required for the evolution of intelligent life as we know it are probably exceedingly rare in the universe, while simultaneously noting that simple single-celled microorganisms may be more likely. The extrasolar planet results from the Kepler mission estimate 100–400 billion exoplanets, with over 3,500 as candidates or confirmed exoplanets. On 4 November 2013, astronomers reported, based on Kepler space mission data, that there could be as many as 40 billion Earth-sized planets orbiting in the habitable zones of sun-like stars and red dwarf stars within the Milky Way Galaxy. 11 billion of these estimated planets may be orbiting sun-like stars. The nearest such planet may be 12 light-years away, according to the scientists. It is estimated that space travel over cosmic distances would take an incredibly long time to an outside observer, and with vast amounts of energy required. However, some scientists hypothesize that faster-than-light interstellar space travel might be feasible. This has been explored by NASA scientists since at least 1995. Hoyle and Wickramasinghe have speculated that several outbreaks of illnesses on Earth are of extraterrestrial origins, including the 1918 flu pandemic, and certain outbreaks of polio and mad cow disease. For the 1918 flu pandemic they hypothesized that cometary dust brought the virus to Earth simultaneously at multiple locations—a view almost universally dismissed by experts on this pandemic. Hoyle also speculated that HIV came from outer space. After Hoyle's death, The Lancet published a letter to the editor from Wickramasinghe and two of his colleagues, in which they hypothesized that the virus that causes severe acute respiratory syndrome (SARS) could be extraterrestrial in origin and not originated from chickens. The Lancet subsequently published three responses to this letter, showing that the hypothesis was not evidence-based, and casting doubts on the quality of the experiments referenced by Wickramasinghe in his letter. A 2008 encyclopedia notes that "Like other claims linking terrestrial disease to extraterrestrial pathogens, this proposal was rejected by the greater research community." In April 2016, Jiangwen Qu of the Department of Infectious Disease Control in China presented a statistical study suggesting that "extremes of sunspot activity to within plus or minus 1 year may precipitate influenza pandemics." He discussed possible mechanisms of epidemic initiation and early spread, including speculation on primary causation by externally derived viral variants from space via cometary dust. A meteorite originating from Mars known as ALH84001 was shown in 1996 to contain microscopic structures resembling small terrestrial nanobacteria. When the discovery was announced, many immediately conjectured that these were fossils and were the first evidence of extraterrestrial life — making headlines around the world. Public interest soon started to dwindle as most experts started to agree that these structures were not indicative of life, but could instead be formed abiotically from organic molecules. However, in November 2009, a team of scientists at Johnson Space Center, including David McKay, reasserted that there was "strong evidence that life may have existed on ancient Mars", after having reexamined the meteorite and finding magnetite crystals. On May 11, 2001, two researchers from the University of Naples claimed to have found viable extraterrestrial bacteria inside a meteorite. Geologist Bruno D'Argenio and molecular biologist Giuseppe Geraci claim the bacteria were wedged inside the crystal structure of minerals, but were resurrected when a sample of the rock was placed in a culture medium. An Indian and British team of researchers led by Chandra Wickramasinghe reported on 2001 that air samples over Hyderabad, India, gathered from the stratosphere by the Indian Space Research Organisation (ISRO) on January 21, 2001, contained clumps of living cells. Wickramasinghe calls this "unambiguous evidence for the presence of clumps of living cells in air samples from as high as 41 km, above which no air from lower down would normally be transported". Two bacterial and one fungal species were later independently isolated from these filters which were identified as Bacillus simplex, Staphylococcus pasteuri and Engyodontium album respectively. Pushkar Ganesh Vaidya from the Indian Astrobiology Research Centre reported in 2009 that "the three microorganisms captured during the balloon experiment do not exhibit any distinct adaptations expected to be seen in microorganisms occupying a cometary niche". In 2005 an improved experiment was conducted by ISRO. On April 20, 2005, air samples were collected from the upper atmosphere at altitudes ranging from 20 km to more than 40 km. The samples were tested at two labs in India. The labs found 12 bacterial and 6 different fungal species in these samples. The fungi were Penicillium decumbens, Cladosporium cladosporioides, Alternaria sp. and Tilletiopsis albescens. Out of the 12 bacterial samples, three were identified as new species and named Janibacter hoylei (after Fred Hoyle), Bacillus isronensis (named after ISRO) and Bacillus aryabhattai (named after the ancient Indian mathematician, Aryabhata). These three new species showed that they were more resistant to UV radiation than similar bacteria. Some other researchers have retrieved bacteria from the stratosphere since the 1970s. Atmospheric sampling by NASA in 2010 before and after hurricanes, collected 314 different types of bacteria; the study suggests that large-scale convection during tropical storms and hurricanes can then carry this material from the surface higher up into the atmosphere. Another proposed mechanism of spores in the stratosphere is lifting by weather and Earth magnetism up to the ionosphere into low Earth orbit, where Russian astronauts retrieved DNA from a known sterile exterior surface of the International Space Station. The Russian scientists then also speculated the possibility "that common terrestrial bacteria are constantly being resupplied from space." In 2013, Dale Warren Griffin, a microbiologist working at the United States Geological Survey noted that viruses are the most numerous entities on Earth. Griffin speculates that viruses evolved in comets and on other planets and moons may be pathogenic to humans, so he proposed to also look for viruses on moons and planets of the Solar System. A separate fragment of the Orgueil meteorite (kept in a sealed glass jar since its discovery) was found in 1965 to have a seed capsule embedded in it, whilst the original glassy layer on the outside remained undisturbed. Despite great initial excitement, the seed was found to be that of a European Juncaceae or Rush plant that had been glued into the fragment and camouflaged using coal dust. The outer "fusion layer" was in fact glue. Whilst the perpetrator of this hoax is unknown, it is thought that they sought to influence the 19th century debate on spontaneous generation — rather than panspermia — by demonstrating the transformation of inorganic to biological matter. Hydrothermal vents are able to support extremophile bacteria on Earth and may also support life in other parts of the cosmos. Until the 1970s, life was thought to depend on its access to sunlight. Even life in the ocean depths, where sunlight cannot reach, was believed to obtain its nourishment either from consuming organic detritus rained down from the surface waters or from eating animals that did. However, in 1977, during an exploratory dive to the Galapagos Rift in the deep-sea exploration submersible Alvin, scientists discovered colonies of assorted creatures clustered around undersea volcanic features known as black smokers. It was soon determined that the basis for this food chain is a form of bacterium that derives its energy from oxidation of reactive chemicals, such as hydrogen or hydrogen sulfide, that bubble up from the Earth's interior. This chemosynthesis revolutionized the study of biology by revealing that terrestrial life need not be Sun-dependent; it only requires water and an energy gradient in order to exist. It is now known that extremophiles, microorganisms with extraordinary capability to thrive in the harshest environments on Earth, can specialize to thrive in the deep-sea, ice, boiling water, acid, the water core of nuclear reactors, salt crystals, toxic waste and in a range of other extreme habitats that were previously thought to be inhospitable for life. Living bacteria found in ice core samples retrieved from 3,700 metres (12,100 ft) deep at Lake Vostok in Antarctica, have provided data for extrapolations to the likelihood of microorganisms surviving frozen in extraterrestrial habitats or during interplanetary transport. Also, bacteria have been discovered living within warm rock deep in the Earth's crust. In order to test some of these organisms' potential resilience in outer space, plant seeds and spores of bacteria, fungi and ferns have been exposed to the harsh space environment. Spores are produced as part of the normal life cycle of many plants, algae, fungi and some protozoans, and some bacteria produce endospores or cysts during times of stress. These structures may be highly resilient to ultraviolet and gamma radiation, desiccation, lysozyme, temperature, starvation and chemical disinfectants, while metabolically inactive. Spores germinate when favourable conditions are restored after exposure to conditions fatal to the parent organism. Although computer models suggest that a captured meteoroid would typically take some tens of millions of years before collision with a planet, there are documented viable Earthly bacterial spores that are 40 million years old that are very resistant to radiation, and others able to resume life after being dormant for 25 million years, suggesting that lithopanspermia life-transfers are possible via meteorites exceeding 1 m in size. 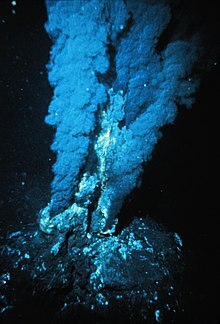 The discovery of deep-sea ecosystems, along with advancements in the fields of astrobiology, observational astronomy and discovery of large varieties of extremophiles, opened up a new avenue in astrobiology by massively expanding the number of possible extraterrestrial habitats and possible transport of hardy microbial life through vast distances. BIOPAN is a multi-user experimental facility installed on the external surface of the Russian Foton descent capsule. Experiments developed for BIOPAN are designed to investigate the effect of the space environment on biological material after exposure between 13 and 17 days. The experiments in BIOPAN are exposed to solar and cosmic radiation, the space vacuum and weightlessness, or a selection thereof. Of the 6 missions flown so far on BIOPAN between 1992 and 2007, dozens of experiments were conducted, and some analyzed the likelihood of panspermia. Some bacteria, lichens (Xanthoria elegans, Rhizocarpon geographicum and their mycobiont cultures, the black Antarctic microfungi Cryomyces minteri and Cryomyces antarcticus), spores, and even one animal (tardigrades) were found to have survived the harsh outer space environment and cosmic radiation. EXOSTACK on the Long Duration Exposure Facility satellite. The German EXOSTACK experiment was deployed on 7 April 1984 on board the Long Duration Exposure Facility statellite. 30% of Bacillus subtilis spores survived the nearly 6 years exposure when embedded in salt crystals, whereas 80% survived in the presence of glucose, which stabilize the structure of the cellular macromolecules, especially during vacuum-induced dehydration. If shielded against solar UV, spores of B. subtilis were capable of surviving in space for up to 6 years, especially if embedded in clay or meteorite powder (artificial meteorites). The data support the likelihood of interplanetary transfer of microorganisms within meteorites, the so-called lithopanspermia hypothesis. EXPOSE is a multi-user facility mounted outside the International Space Station dedicated to astrobiology experiments. There have been three EXPOSE experiments flown between 2008 and 2015: EXPOSE-E, EXPOSE-R and EXPOSE-R2. Results from the orbital missions, especially the experiments SEEDS and LiFE, concluded that after an 18-month exposure, some seeds and lichens (Stichococcus sp. and Acarospora sp., a lichenized fungal genus) may be capable to survive interplanetary travel if sheltered inside comets or rocks from cosmic radiation and UV radiation. The LIFE, SPORES, and SEEDS parts of the experiments provided information about the likelihood of lithopanspermia. These studies will provide experimental data to the lithopanspermia hypothesis, and they will provide basic data to planetary protection issues. The Tanpopo mission is an orbital astrobiology experiment by Japan that is currently investigating the possible interplanetary transfer of life, organic compounds, and possible terrestrial particles in low Earth orbit. The Tanpopo experiment took place at the Exposed Facility located on the exterior of Kibo module of the International Space Station. The mission collected cosmic dusts and other particles for three years by using an ultra-low density silica gel called aerogel. The purpose is to assess the panspermia hypothesis and the possibility of natural interplanetary transport of life and its precursors. Some of these aerogels were replaced every one or two years through 2018. Sample collection began in May 2015, and the first samples were returned to Earth in mid-2016. Analyses are ongoing. Panspermia is often criticized because it does not answer the question of the origin of life but merely places it on another celestial body. It was also criticized because it was thought it could not be tested experimentally. Wallis and Wickramasinghe argued in 2004 that the transport of individual bacteria or clumps of bacteria, is overwhelmingly more important than lithopanspermia in terms of numbers of microbes transferred, even accounting for the death rate of unprotected bacteria in transit. Then it was found that isolated spores of B. subtilis were killed by several orders of magnitude if exposed to the full space environment for a mere few seconds. Though these results may seem to negate the original panspermia hypothesis, the type of microorganism making the long journey is inherently unknown and also its features unknown. It could then be impossible to dismiss the hypothesis based on the hardiness of a few earth-evolved microorganism. Also, if shielded against solar UV, spores of Bacillus subtilis were capable of surviving in space for up to 6 years, especially if embedded in clay or meteorite powder (artificial meteorites). The data support the likelihood of interplanetary transfer of microorganisms within meteorites, the so-called lithopanspermia hypothesis. ^ Berera, Arjun (6 November 2017). "Space dust collisions as a planetary escape mechanism". Astrobiology. 17 (12): 1274–1282. arXiv:1711.01895. Bibcode:2017AsBio..17.1274B. doi:10.1089/ast.2017.1662. PMID 29148823. ^ Wickramasinghe, Chandra (2011). "Bacterial morphologies supporting cometary panspermia: a reappraisal". International Journal of Astrobiology. 10 (1): 25–30. Bibcode:2011IJAsB..10...25W. CiteSeerX 10.1.1.368.4449. doi:10.1017/S1473550410000157. ^ Rampelotto, P. H. (2010). "Panspermia: A promising field of research" (PDF). Astrobiology Science Conference. 1538: 5224. Bibcode:2010LPICo1538.5224R. ^ a b Forward planetary contamination like Tersicoccus phoenicis, that has shown resistance to methods usually used in spacecraft assembly clean rooms: Madhusoodanan, Jyoti (May 19, 2014). "Microbial stowaways to Mars identified". Nature. doi:10.1038/nature.2014.15249. ^ a b Webster, Guy (November 6, 2013). "Rare New Microbe Found in Two Distant Clean Rooms". NASA.gov. Retrieved November 6, 2013. ^ Staff - Purdue University (27 February 2018). "Tesla in space could carry bacteria from Earth". phys.org. Retrieved 28 February 2018. ^ a b Shostak, Seth (26 October 2018). "Comets and asteroids may be spreading life across the galaxy - Are germs from outer space the source of life on Earth?". NBC News. Retrieved 31 October 2018. ^ a b Ginsburg, Idan; Lingam, Manasvi; Loeb, Abraham (11 October 2018). "Galactic Panspermia". Monthly Notices of the Royal Astronomical Society. arXiv:1810.04307v1. ^ A variation of the panspermia hypothesis is necropanspermia which astronomer Paul Wesson describes as follows: "The vast majority of organisms reach a new home in the Milky Way in a technically dead state … Resurrection may, however, be possible." Grossman, Lisa (2010-11-10). "All Life on Earth Could Have Come From Alien Zombies". Wired. Retrieved 10 November 2010. ^ Hoyle, F. and Wickramasinghe, N.C. (1981). Evolution from Space. Simon & Schuster Inc., NY, and J.M. Dent and Son, London (1981), ch3 pp. 35–49. ^ a b Klyce, Brig (2001). "Panspermia Asks New Questions". Retrieved 25 July 2013. ^ a b Klyce, Brig (2001). "Panspermia asks new questions". In Kingsley, Stuart A; Bhathal, Ragbir (eds.). The Search for Extraterrestrial Intelligence (SETI) in the Optical Spectrum III. Proc. SPIE. The Search for Extraterrestrial Intelligence (SETI) in the Optical Spectrum III. 4273. pp. 11–14. Bibcode:2001SPIE.4273...11K. doi:10.1117/12.435366. ^ a b Dalgarno, A. (2006). "The galactic cosmic ray ionization rate". Proceedings of the National Academy of Sciences. 103 (33): 12269–73. Bibcode:2006PNAS..10312269D. doi:10.1073/pnas.0602117103. PMC 1567869. PMID 16894166. ^ a b Brown, Laurie M.; Pais, Abraham; Pippard, A. B. (1995). "The physics of the interstellar medium". Twentieth Century Physics (2nd ed.). CRC Press. p. 1765. ISBN 978-0-7503-0310-1. ^ O'Leary, Margater (2008). Anaxagoras and the Origin of Panspermia Theory. iUniverse Publishing Group. ISBN 978-0-595-49596-2. ^ Berzelius, J. J. (1834). "Analysis of the Alais meteorite and implications about life in other worlds". Liebigs Annalen der Chemie und Pharmacie. 10: 134–135. ^ Rothschild, Lynn J.; Lister, Adrian M. (June 2003). Evolution on Planet Earth – The Impact of the Physical Environment. Academic Press. pp. 109–127. ISBN 978-0-12-598655-7. ^ Thomson (Lord Kelvin), W. (1871). "Inaugural Address to the British Association Edinburgh. "We must regard it as probably to the highest degree that there are countless seed-bearing meteoritic stones moving through space."". Nature. 4 (92): 261–278 . Bibcode:1871Natur...4..261.. doi:10.1038/004261a0. PMC 2070380. ^ "The word: Panspermia". New Scientist (2541). 7 March 2006. Retrieved 25 July 2013. ^ "History of Panspermia". Archived from the original on 13 October 2014. Retrieved 25 July 2013. ^ Arrhenius, S. (1908). Worlds in the Making: The Evolution of the Universe. New York: Harper & Row. ^ Napier, W.M. (2007). "Pollination of exoplanets by nebulae". Int. J. Astrobiol. 6 (3): 223–228. Bibcode:2007IJAsB...6..223N. doi:10.1017/S1473550407003710. ^ Line, M.A. (2007). "Panspermia in the context of the timing of the origin of life and microbial phylogeny". Int. J. Astrobiol. 3. 6 (3): 249–254. Bibcode:2007IJAsB...6..249L. doi:10.1017/S1473550407003813. ^ Wickramasinghe, D. T.; Allen, D. A. (1980). "The 3.4-µm interstellar absorption feature". Nature. 287 (5782): 518–519. Bibcode:1980Natur.287..518W. doi:10.1038/287518a0. ^ Allen, D. A.; Wickramasinghe, D. T. (1981). "Diffuse interstellar absorption bands between 2.9 and 4.0 µm". Nature. 294 (5838): 239–240. Bibcode:1981Natur.294..239A. doi:10.1038/294239a0. ^ Wickramasinghe, D. T.; Allen, D. A. (1983). "Three components of 3–4 μm absorption bands". Astrophysics and Space Science. 97 (2): 369–378. Bibcode:1983Ap&SS..97..369W. doi:10.1007/BF00653492. ^ Fred Hoyle; Chandra Wickramasinghe & John Watson (1986). Viruses from Space and Related Matters. University College Cardiff Press. ^ Weaver, Rheyanne (April 7, 2009). "Ruminations on other worlds". statepress.com. Archived from the original on July 24, 2011. Retrieved 25 July 2013. ^ Cockell, Charles S. (19 May 2011). "Exposure of phototrophs to 548 days in low Earth orbit: microbial selection pressures in outer space and on early earth". The ISME Journal. 5 (10): 1671–1682. doi:10.1038/ismej.2011.46. PMC 3176519. PMID 21593797. ^ Amos, Jonathan (23 Aug 2010). "Beer microbes live 553 days outside ISS". BBC News. BBC. Retrieved 11 February 2016. ^ Panitz, Corinna; Horneck, Gerda; Rabbow, Elke; Petra Rettberg, Petra; Moeller, Ralf (January 2015). "The SPORES experiment of the EXPOSE-R mission: Bacillus subtilis spores in artificial meteorites". International Journal of Astrobiology. 14 (Special Issue 1): 105–114. Bibcode:2015IJAsB..14..105P. doi:10.1017/S1473550414000251. ^ a b Borenstein, Seth (19 October 2015). "Hints of life on what was thought to be desolate early Earth". Associated Press. Retrieved 2018-10-09. ^ Bell, Elizabeth A.; Boehnike, Patrick; Harrison, T. Mark; et al. (19 October 2015). "Potentially biogenic carbon preserved in a 4.1 billion-year-old zircon". Proc. Natl. Acad. Sci. U.S.A. 112 (47): 214518–14521. Bibcode:2015PNAS..11214518B. doi:10.1073/pnas.1517557112. PMC 4664351. PMID 26483481. ^ a b c The DNA of bacteria of the World Ocean and the Earth in cosmic dust at the International Space Station. T.V. Grebennikova, A.V. Syroeshkin, E.V. Shubralova, O.V. Eliseeva, L.V. Kostina, N.Y. Kulikova, O.E. Latyshev, M.A. Morozova, A.G. Yuzhakov, I.A. Zlatskiy, M.A. Chichaeva, O.S. Tsygankov. (PDF). 2017. ^ Oumuamua (A/2017U1) – A Confirmation of Links between Galactic Planetary Systems. (PDF) N. Chandra Wickramasinghe, Edward J. Steele, Daryl. H. Wallis, Robert Temple, Gensuke Tokoro, Janaki T. Wickramasinghe. 2018. ^ Khan, Amina (7 March 2014). "Did two planets around nearby star collide? Toxic gas holds hints". LA Times. Retrieved 9 March 2014. ^ Dent, W. R. F.; Wyatt, M. C.; Roberge, A.; Augereau, J.- C.; et al. (6 March 2014). "Molecular Gas Clumps from the Destruction of Icy Bodies in the β Pictoris Debris Disk". Science. 343 (6178): 1490–1492. arXiv:1404.1380. Bibcode:2014Sci...343.1490D. doi:10.1126/science.1248726. PMID 24603151. ^ Wickramasinghe, Chandra; Wickramasinghe, Chandra; Napier, William (2009). Comets and the Origin of Life. World Scientific Press. doi:10.1142/6008. ISBN 978-981-256-635-5. ^ Wall, Mike. "Comet Impacts May Have Jump-Started Life on Earth". space.com. Retrieved 1 August 2013. ^ Weber, P; Greenberg, J. M. (1985). "Can spores survive in interstellar space?". Nature. 316 (6027): 403–407. Bibcode:1985Natur.316..403W. doi:10.1038/316403a0. ^ Melosh, H. J. (1988). "The rocky road to panspermia". Nature. 332 (6166): 687–688. Bibcode:1988Natur.332..687M. doi:10.1038/332687a0. PMID 11536601. ^ a b C. Mileikowsky; F. A. Cucinotta; J. W. Wilson; B. Gladman; et al. (2000). "Risks threatening viable transfer of microbes between bodies in our solar system". Planetary and Space Science. 48 (11): 1107–1115. Bibcode:2000P&SS...48.1107M. doi:10.1016/S0032-0633(00)00085-4. ^ a b c d Edward Belbruno; Amaya Moro-Martı´n; Malhotra, Renu & Savransky, Dmitry (2012). "Chaotic Exchange of Solid Material between Planetary". Astrobiology. 12 (8): 754–74. arXiv:1205.1059. Bibcode:2012AsBio..12..754B. doi:10.1089/ast.2012.0825. PMC 3440031. PMID 22897115. ^ Slow-moving rocks better odds that life crashed to Earth from space. News at Princeton, September 24, 2012. ^ a b Crick, F. H.; Orgel, L. E. (1973). "Directed Panspermia". Icarus. 19 (3): 341–348. Bibcode:1973Icar...19..341C. CiteSeerX 10.1.1.599.5067. doi:10.1016/0019-1035(73)90110-3. ^ Mautner, Michael N. (2000). Seeding the Universe with Life: Securing Our Cosmological Future (PDF). Washington D. C. ISBN 978-0-476-00330-9. ^ Mautner, M; Matloff, G. (1979). "Directed panspermia: A technical evaluation of seeding nearby planetary systems" (PDF). Journal of the British Interplanetary Society. 32: 419. Bibcode:1979JBIS...32..419M. ^ a b c Mautner, M. N. (1997). "Directed panspermia. 3. Strategies and motivation for seeding star-forming clouds" (PDF). Journal of the British Interplanetary Society. 50: 93–102. Bibcode:1997JBIS...50...93M. ^ a b "Impacts 'more likely' to have spread life from Earth". BBC. 23 August 2011. Retrieved 24 August 2011. ^ "Electromagnetic space travel for bugs? – space – 21 July 2006 – New Scientist Space". Space.newscientist.com. Archived from the original on January 11, 2009. Retrieved December 8, 2014. ^ Dehel, T. (2006-07-23). "Uplift and Outflow of Bacterial Spores via Electric Field". 36th COSPAR Scientific Assembly. Held 16–23 July 2006. 36: 1. arXiv:hep-ph/0612311. Bibcode:2006cosp...36....1D. ^ "Die Verbreitung des Lebens im Weltenraum" (the "Distribution of Life in Space"). Published in Die Umschau. 1903. ^ Nicholson, Wayne L. (2009). "Ancient micronauts: interplanetary transport of microbes by cosmic impacts". Trends in Microbiology. 17 (6): 243–250. doi:10.1016/j.tim.2009.03.004. PMID 19464895. ^ a b c d e f g Horneck, G.; Klaus, D. M.; Mancinelli, R. L. (2010). "Space Microbiology". Microbiology and Molecular Biology Reviews. 74 (1): 121–56. doi:10.1128/MMBR.00016-09. PMC 2832349. PMID 20197502. ^ Shklovskii, I. S.; Sagan, Carl (1966). Intelligent Life in the Universe. Emerson-Adams Press, Incorporated. ISBN 978-1-892803-02-3. ^ Wickramasinghe, M.K. ; Wickramasinghe, C. (2004). "Interstellar transfer of planetary microbiota". Mon. Not. R. Astron. Soc. 348 (1): 52–57. Bibcode:2004MNRAS.348...52W. doi:10.1111/j.1365-2966.2004.07355.x. ^ a b Horneck, G; Rettberg, P; Reitz, G; Wehner, J; Eschweiler, U; Strauch, K; Panitz, C; Starke, V; Baumstark-Khan, C (2001). "Protection of Bacterial Spores in Space, a Contribution to the Discussion on Panspermia". Origins of Life and Evolution of the Biosphere : The Journal of the International Society for the Study of the Origin of Life. 31 (6): 527–47. Bibcode:2002ESASP.518..105R. PMID 11770260. ^ Rahn, R.O. ; Hosszu, J.L. (1969). "Influence of relative humidity on the photochemistry of DNA films". Biochim. Biophys. Acta. 190 (1): 126–131. doi:10.1016/0005-2787(69)90161-0. PMID 4898489. ^ Patrick, M.H. ; Gray, D.M. (1976). "Independence of photproduct formation on DNA conformation". Photochem. Photobiol. 24 (6): 507–513. doi:10.1111/j.1751-1097.1976.tb06867.x. PMID 1019243. ^ a b Wayne L. Nicholson; Andrew C. Schuerger; Peter Setlow (21 January 2005). "The solar UV environment and bacterial spore UV resistance: considerations for Earth-to-Mars transport by natural processes and human spaceflight" (PDF). Mutation Research. 571 (1–2): 249–264. doi:10.1016/j.mrfmmm.2004.10.012. PMID 15748651. Archived from the original (PDF) on 28 December 2013. Retrieved 2 August 2013. ^ a b Clark, Benton C. Clark (February 2001). "Planetary Interchange of Bioactive Material: Probability Factors and Implications". Origins of Life and Evolution of the Biosphere. 31 (1–2): 185–197. Bibcode:2001OLEB...31..185C. doi:10.1023/A:1006757011007. PMID 11296521. ^ Mileikowsky, C; Cucinotta, F. A.; Wilson, J. W.; Gladman, B; Horneck, G; Lindegren, L; Melosh, J; Rickman, H; Valtonen, M; Zheng, J. Q. (2000). "Natural Transfer of Microbes in space, part I: from Mars to Earth and Earth to Mars". Icarus. 145 (2): 391–427. Bibcode:2000Icar..145..391M. doi:10.1006/icar.1999.6317. PMID 11543506. ^ a b c d e f g Olsson-Francis, Karen; Cockell, Charles S. (2010). "Experimental methods for studying microbial survival in extraterrestrial environments". Journal of Microbiological Methods. 80 (1): 1–13. doi:10.1016/j.mimet.2009.10.004. PMID 19854226. ^ a b Cockell, Charles S. (2007). "The Interplanetary Exchange of Photosynthesis". Origins of Life and Evolution of Biospheres. 38 (1): 87–104. Bibcode:2008OLEB...38...87C. doi:10.1007/s11084-007-9112-3. PMID 17906941. ^ Horneck, Gerda; Stöffler, Dieter; Ott, Sieglinde; Hornemann, Ulrich; et al. (2008). "Microbial Rock Inhabitants Survive Hypervelocity Impacts on Mars-Like Host Planets: First Phase of Lithopanspermia Experimentally Tested". Astrobiology. 8 (1): 17–44. Bibcode:2008AsBio...8...17H. doi:10.1089/ast.2007.0134. PMID 18237257. ^ Fajardo-Cavazos, Patricia; Link, Lindsey; Melosh, H. Jay; Nicholson, Wayne L. (2005). "Bacillus subtilis Spores on Artificial Meteorites Survive Hypervelocity Atmospheric Entry: Implications for Lithopanspermia". Astrobiology. 5 (6): 726–36. Bibcode:2005AsBio...5..726F. doi:10.1089/ast.2005.5.726. PMID 16379527. ^ Brack, A.; Baglioni, P.; Borruat, G.; Brandstätter, F.; et al. (2002). "Do meteoroids of sedimentary origin survive terrestrial atmospheric entry? The ESA artificial meteorite experiment STONE". Planetary and Space Science. 50 (7–8): 763–772. Bibcode:2002P&SS...50..763B. doi:10.1016/S0032-0633(02)00018-1. ^ Cockell, Charles S.; Brack, André; Wynn-Williams, David D.; Baglioni, Pietro; et al. (2007). "Interplanetary Transfer of Photosynthesis: An Experimental Demonstration of a Selective Dispersal Filter in Planetary Island Biogeography". Astrobiology. 7 (1): 1–9. Bibcode:2007AsBio...7....1C. doi:10.1089/ast.2006.0038. PMID 17407400. ^ "Could Life Have Survived a Fall to Earth?". EPSC. 12 September 2013. Retrieved 2015-04-21. ^ Gold, T. "Cosmic Garbage", Air Force and Space Digest, 65 (May 1960). ^ "Anticipating an RNA world. Some past speculations on the origin of life: where are they today?" by L. E. Orgel and F. H. C. Crick in FASEB J. (1993) Volume 7 pages 238–239. ^ "Seeding the Milky Way with life using 'Genesis missions'". phys.org. Retrieved 2019-01-25. ^ Mautner, Michael Noah Ph.D. (2000). Seeding the Universe with Life: Securing our Cosmological Future (PDF). ISBN 978-0-476-00330-9. ^ Gros, Claudius (2016-09-05). "Developing ecospheres on transiently habitable planets: the genesis project". Astrophysics and Space Science. 361 (10). arXiv:1608.06087. doi:10.1007/s10509-016-2911-0. ISSN 0004-640X. ^ "Colonising the galaxy is hard. Why not send bacteria instead?". The Economist. 2018-04-12. ISSN 0013-0613. Retrieved 2019-01-23. ^ a b Mautner, Michael N. (2002). "Planetary bioresources and astroecology. 1. Planetary microcosm bioessays of Martian and meteorite materials: soluble electrolytes, nutrients, and algal and plant responses" (PDF). Icarus. 158 (1): 72–86. Bibcode:2002Icar..158...72M. doi:10.1006/icar.2002.6841. ^ Mautner, Michael N. (2005). "Life in the cosmological future: Resources, biomass and populations" (PDF). Journal of the British Interplanetary Society. 58: 167–180. Bibcode:2005JBIS...58..167M. ^ Marx, G. (1979). "Message through time". Acta Astronautica. 6 (1–2): 221–225. Bibcode:1979AcAau...6..221M. doi:10.1016/0094-5765(79)90158-9. ^ Yokoo, H.; Oshima, T. (1979). "Is bacteriophage φX174 DNA a message from an extraterrestrial intelligence?". Icarus. 38 (1): 148–153. Bibcode:1979Icar...38..148Y. doi:10.1016/0019-1035(79)90094-0. ^ Overbye, Dennis (26 June 2007). "Human DNA, the Ultimate Spot for Secret Messages (Are Some There Now?)". The New York Times. Retrieved 2014-10-09. ^ Davies, Paul C.W. (2010). The Eerie Silence: Renewing Our Search for Alien Intelligence. Boston, Massachusetts: Houghton Mifflin Harcourt. ISBN 978-0-547-13324-9. ^ Shcherbak, Vladimir I.; Makukov, Maxim A. (2013). "The "Wow! signal" of the terrestrial genetic code". Icarus. 224 (1): 228–242. arXiv:1303.6739. Bibcode:2013Icar..224..228S. doi:10.1016/j.icarus.2013.02.017. ^ Makukov, Maxim (4 October 2014). "Claim to have identified extraterrestrial signal in the universal genetic code thereby confirming directed panspermia". The New Reddit Journal of Science. Retrieved 2014-10-09. ^ Makukov, Maxim A.; Shcherbak, Vladimir I. (2014). "Space ethics to test directed panspermia". Life Sciences in Space Research. 3: 10–17. arXiv:1407.5618. Bibcode:2014LSSR....3...10M. doi:10.1016/j.lssr.2014.07.003. ^ Myers, PZ (2013-03-15). "The Genetic Code is not a synonym for the Bible Code". Freethoughtblogs.com. Pharyngula. Retrieved 16 April 2017. ^ Makukov, M.A. ; shCherbak, V.I. (2017). "SETI in vivo: testing the we-are-them hypothesis". International Journal of Astrobiology. 17 (2): 127. arXiv:1707.03382. Bibcode:2018IJAsB..17..127M. doi:10.1017/S1473550417000210. ^ Wickramasinghe, N.C. (1974). "Formaldehyde Polymers in Interstellar Space". Nature. 252 (5483): 462–463. Bibcode:1974Natur.252..462W. doi:10.1038/252462a0. ^ Martins, Zita; Botta, Oliver; Fogel, Marilyn L.; Sephton, Mark A.; Glavin, Daniel P.; Watson, Jonathan S.; Dworkin, Jason P.; Schwartz, Alan W.; Ehrenfreund, Pascale (2008). "Extraterrestrial nucleobases in the Murchison meteorite". Earth and Planetary Science Letters. 270 (1–2): 130–136. arXiv:0806.2286. Bibcode:2008E&PSL.270..130M. doi:10.1016/j.epsl.2008.03.026. ^ "We may all be space aliens: study". AFP. 20 August 2009. Archived from the original on June 17, 2008. Retrieved 8 November 2014. ^ "'Life chemical' detected in comet". NASA. BBC News. 18 August 2009. Retrieved 6 March 2010. ^ Callahan, M. P.; Smith, K. E.; Cleaves, H. J.; Ruzicka, J.; et al. (2011). "Carbonaceous meteorites contain a wide range of extraterrestrial nucleobases". Proceedings of the National Academy of Sciences. 108 (34): 13995–8. Bibcode:2011PNAS..10813995C. doi:10.1073/pnas.1106493108. PMC 3161613. PMID 21836052. ^ Steigerwald, John (8 August 2011). "NASA Researchers: DNA Building Blocks Can Be Made in Space". NASA. Retrieved 10 August 2011. ^ "DNA Building Blocks Can Be Made in Space, NASA Evidence Suggests". ScienceDaily. 9 August 2011. Retrieved 9 August 2011. ^ a b Chow, Denise (26 October 2011). "Discovery: Cosmic Dust Contains Organic Matter from Stars". Space.com. Retrieved 26 October 2011. ^ "Astronomers Discover Complex Organic Matter Exists Throughout the Universe". ScienceDaily. 26 October 2011. Retrieved 27 October 2011. ^ Kwok, Sun; Zhang, Yong (2011). "Mixed aromatic–aliphatic organic nanoparticles as carriers of unidentified infrared emission features". Nature. 479 (7371): 80–3. Bibcode:2011Natur.479...80K. doi:10.1038/nature10542. PMID 22031328. ^ "Sweet! Astronomers spot sugar molecule near star". AP News. August 29, 2012. Retrieved August 31, 2012. ^ Jørgensen, Jes K.; Favre, Cécile; Bisschop, Suzanne E.; Bourke, Tyler L.; et al. (2012). "Detection of the Simplest Sugar, Glycolaldehyde, in a Solar-Type Protostar with Alma". The Astrophysical Journal. 757 (1): L4. arXiv:1208.5498. Bibcode:2012ApJ...757L...4J. doi:10.1088/2041-8205/757/1/L4. ^ a b "NASA Cooks Up Icy Organics to Mimic Life's Origins". Space.com. September 20, 2012. Retrieved September 22, 2012. ^ a b Gudipati, Murthy S.; Yang, Rui (2012). "In-Situ Probing of Radiation-Induced Processing of Organics in Astrophysical Ice Analogs—Novel Laser Desorption Laser Ionization Time-Of-Flight Mass Spectroscopic Studies". The Astrophysical Journal. 756 (1): L24. Bibcode:2012ApJ...756L..24G. doi:10.1088/2041-8205/756/1/L24. ^ Loomis, Ryan A.; Zaleski, Daniel P.; Steber, Amanda L.; Neill, Justin L.; et al. (2013). "The Detection of Interstellar Ethanimine (Ch3Chnh) from Observations Taken During the Gbt Primos Survey". The Astrophysical Journal. 765 (1): L9. arXiv:1302.1121. Bibcode:2013ApJ...765L...9L. doi:10.1088/2041-8205/765/1/L9. ^ Kaiser, R. I.; Stockton, A. M.; Kim, Y. S.; Jensen, E. C.; et al. (March 5, 2013). "On the Formation of Dipeptides in Interstellar Model Ices". The Astrophysical Journal. 765 (2): 111. Bibcode:2013ApJ...765..111K. doi:10.1088/0004-637X/765/2/111. Lay summary – Phys.org. ^ Hoover, Rachel (February 21, 2014). "Need to Track Organic Nano-Particles Across the Universe? NASA's Got an App for That". NASA. Retrieved 22 February 2014. ^ "Prebiotic chemicals—amino acid and phosphorus—in the coma of comet 67P/Churyumov-Gerasimenko". ^ Loeb, Abraham (October 2014). "The Habitable Epoch of the Early Universe". International Journal of Astrobiology. 13 (4): 337–39. arXiv:1312.0613. Bibcode:2014IJAsB..13..337L. CiteSeerX 10.1.1.680.4009. doi:10.1017/S1473550414000196. ^ Loeb, Abraham (2 December 2013). "The Habitable Epoch of the Early Universe". International Journal of Astrobiology. 13 (4): 337–339. arXiv:1312.0613v3. Bibcode:2014IJAsB..13..337L. CiteSeerX 10.1.1.748.4820. doi:10.1017/S1473550414000196. ^ Dreifus, Claudia (2 December 2014). "Much-Discussed Views That Go Way Back – Avi Loeb Ponders the Early Universe, Nature and Life". The New York Times. Retrieved 3 December 2014. ^ Rampelotto, P.H. (2010). "Panspermia: A Promising Field Of Research" (PDF). Astrobiology Science Conference. Harvard. 1538: 5224. Bibcode:2010LPICo1538.5224R. Retrieved 3 December 2014. ^ Graham, Robert W (February 1990). "Extraterrestrial Life in the Universe" (PDF). Technical Memorandum. Lewis Research Center, OH. 102363. Retrieved 7 July 2014. ^ Altermann, Wladyslaw (2008). "From Fossils to Astrobiology – A Roadmap to Fata Morgana?". In Seckbach, Joseph; Walsh, Maud (eds.). From Fossils to Astrobiology: Records of Life on Earth and the Search for Extraterrestrial Biosignatures. 12. p. xvii. ISBN 978-1-4020-8836-0. ^ Webb, Stephen (2002), If the universe is teeming with aliens, where is everybody? Fifty solutions to the Fermi paradox and the problem of extraterrestrial life, Copernicus, Springer, OCLC 50164852 . ^ Steffen, Jason H.; Batalha, Natalie M.; Borucki, William J; Buchhave, Lars A.; et al. (9 November 2010). "Five Kepler target stars that show multiple transiting exoplanet candidates". Astrophysical Journal. 725 (1): 1226–41. arXiv:1006.2763. Bibcode:2010ApJ...725.1226S. doi:10.1088/0004-637X/725/1/1226. ^ a b Overbye, Dennis (November 4, 2013). "Far-Off Planets Like the Earth Dot the Galaxy". The New York Times. Retrieved 5 November 2013. ^ a b Petigura, Eric A.; Howard, Andrew W.; Marcy, Geoffrey W (October 31, 2013). "Prevalence of Earth-size planets orbiting Sun-like stars". Proceedings of the National Academy of Sciences of the United States of America. 110 (48): 19273–78. arXiv:1311.6806. Bibcode:2013PNAS..11019273P. doi:10.1073/pnas.1319909110. PMC 3845182. PMID 24191033. ^ Khan, Amina (November 4, 2013). "Milky Way may host billions of Earth-size planets". The Los Angeles Times. Retrieved 5 November 2013. ^ Crawford, I.A. (Sep 1995). "Some Thoughts on the Implications of Faster-Than-Light Interstellar Space Travel". Quarterly Journal of the Royal Astronomical Society. 36 (3): 205. Bibcode:1995QJRAS..36..205C. ^ a b Byrne, Joseph Patrick (2008). "Panspermia". Encyclopedia of Pestilence, Pandemics, and Plagues (entry). pp. 454–55. ISBN 9780313341014. ^ Wickramasinghe, C; Wainwright, M; Narlikar, J (May 24, 2003). "SARS—a clue to its origins?". Lancet. 361 (9371): 1832. doi:10.1016/S0140-6736(03)13440-X. PMID 12781581. ^ Willerslev, E; Hansen, AJ; Rønn, R; Nielsen, OJ (Aug 2, 2003). "Panspermia – true or false?". Lancet. 362 (9381): 406, author reply 407–8. doi:10.1016/S0140-6736(03)14039-1. PMID 12907025. ^ Bhargava, PM (Aug 2, 2003). "Panspermia – true or false?". Lancet. 362 (9381): 407, author reply 407–8. doi:10.1016/S0140-6736(03)14041-X. PMID 12907028. ^ Ponce de Leon, S; Lazcano, A (Aug 2, 2003). "Panspermia – true or false?". Lancet. 362 (9381): 406–7, author reply 407–8. doi:10.1016/s0140-6736(03)14040-8. PMID 12907026. ^ Qu, Jiangwen (2016). "Is sunspot activity a factor in influenza pandemics?". Reviews in Medical Virology. 26 (5): 309–13. doi:10.1002/rmv.1887. PMID 27136236. ^ "New Study Adds to Finding of Ancient Life Signs in Mars Meteorite". NASA. 2009-11-30. Retrieved 1 December 2009. ^ Thomas-Keprta, K.; Clemett, S; McKay, D; Gibson, E & Wentworth, S (2009). "Origin of Magnetite Nanocrystals in Martian Meteorite ALH84001". Geochimica et Cosmochimica Acta (Submitted manuscript). 73 (21): 6631–6677. Bibcode:2009GeCoA..73.6631T. doi:10.1016/j.gca.2009.05.064. ^ "Alien visitors". New Scientist Space. 11 May 2001. Retrieved 20 August 2009. ^ D’Argenio, Bruno; Geraci, Giuseppe & del Gaudio, Rosanna (March 2001). "Microbes in rocks and meteorites: a new form of life unaffected by time, temperature, pressure". Rendiconti Lincei. 12 (1): 51–68. doi:10.1007/BF02904521. ^ Geraci, Giuseppe; del Gaudio, Rosanna; D’Argenio, Bruno (2001). "Microbes in rocks and meteorites: a new form of life unaffected by time, temperature, pressure" (PDF). Rend. Fis. Acc. Linceis. 9: 51–68. Archived from the original (PDF) on 2007-09-26. ^ "The detection of living cells in stratospheric samples". Archived from the original on 2005-01-06. ^ "Scientists Say They Have Found Extraterrestrial Life in the Stratosphere But Peers Are Skeptical". Scientific American. 2001-07-31. Retrieved 20 August 2009. ^ Narlikar, JV; Lloyd, D; Wickramasinghe, NC; Turner; Al-Mufti; Wallis; Wainwright; Rajaratnam; Shivaji; Reddy; Ramadurai; Hoyle (2003). "Balloon experiment to detect micro-organisms in the outer space". Astrophys Space Sci. 285 (2): 555–62. Bibcode:2003Ap&SS.285..555N. doi:10.1023/A:1025442021619. ^ Wainwright, M; Wickramasinghe, N.C; Narlikar, J.V; Rajaratnam, P. "Microorganisms cultured from stratospheric air samples obtained at 41 km". Archived from the original on 2 June 2007. Retrieved 11 May 2007. ^ Wainwright, M (2003). "A microbiologist looks at panspermia". Astrophys Space Sci. 285 (2): 563–70. Bibcode:2003Ap&SS.285..563W. doi:10.1023/A:1025494005689. ^ Vaidya, Pushkar Ganesh (July 2009). "Critique on Vindication of Panspermia" (PDF). Apeiron. 16 (3). Retrieved 28 November 2009. ^ Mumbai scientist challenges theory that bacteria came from space, India: AOL, archived from the original on 2018-11-19 . ^ "BALLOON FLIGHTS CONDUCTED FROM HYDERABAD FROM 2001 ONWARDS". ^ Shivaji S, Chaturvedi P, Begum Z, Pindi PK, Manorama R, Padmanaban DA, Shouche YS, Pawar S, Vaishampayan P, Dutt CB, Datta GN, Manchanda RK, Rao UR, Bhargava PM, Narlikar JV (2009). "Janibacter hoylei sp. nov., Bacillus isronensis sp. nov. and Bacillus aryabhattai sp. nov., isolated from cryotubes used for collecting air from upper atmosphere". International Journal of Systematic and Evolutionary Microbiology. 59 (Pt 12): 2977–86. doi:10.1099/ijs.0.002527-0. PMID 19643890. ^ *A.A. Imshenetsky, S.V. Lysenko, G.A. Kazakov, “Upper boundary of the biosphere,” Appl Environ Microbiol, vol. 35, pp. 1-5, 1978. A.A. Imshenetsky, S.V. Lysenko, G.A. Kazakov, N.V. Ramkova, “On micro-organisms of the stratosphere,” Life Sci Space Res, vol. 14, pp. 359–362, 1976. Y. Yang, T. Itoh, S. Yokobori, et al., “Deinococcus aetherius sp. nov., isolated from the stratosphere,” Int J Syst Evol Microbiol, vol. 60, pp. 776–779, 2010. S. Shivaji, S. Ara, S.K. Singh, et al., “Draft genome sequence of Bacillus isronensis strain B3W22, isolated from the upper atmosphere,” J Bacteriol, vol. 194, pp. 6624–6625, 2012. ^ Timothy Oleson (May 5, 2013). "Lofted by hurricanes, bacteria live the high life". NASA. Earth Magazine. Retrieved 21 September 2013. ^ Helen Shen (28 January 2013). "High-flying bacteria spark interest in possible climate effects". Nature News. doi:10.1038/nature.2013.12310. ^ Griffin, Dale Warren (14 August 2013). "The Quest for Extraterrestrial Life: What About the Viruses?". Astrobiology. 13 (8): 774–783. Bibcode:2013AsBio..13..774G. doi:10.1089/ast.2012.0959. PMID 23944293. ^ Anders, E.; Dufresne, E. R.; Hayatsu, R.; Cavaille, A.; Dufresne, A.; Fitch, F. W. (1964). "Contaminated Meteorite". Science. 146 (3648): 1157–61. Bibcode:1964Sci...146.1157A. doi:10.1126/science.146.3648.1157. PMID 17832241. ^ a b Chamberlin, Sean (1999). "Black Smokers and Giant Worms". Fullerton College. Retrieved 11 February 2011. ^ Choi, Charles Q. (17 March 2013). "Microbes Thrive in Deepest Spot on Earth". LiveScience. Retrieved 17 March 2013. ^ Glud, Ronnie; Wenzhöfer, Frank; Middelboe, Mathias; Oguri, Kazumasa; et al. (17 March 2013). "High rates of microbial carbon turnover in sediments in the deepest oceanic trench on Earth". Nature Geoscience. 6 (4): 284–288. Bibcode:2013NatGe...6..284G. doi:10.1038/ngeo1773. ^ Carey, Bjorn (7 February 2005). "Wild Things: The Most Extreme Creatures". Live Science. Retrieved 20 October 2008. ^ Cavicchioli, R. (Fall 2002). "Extremophiles and the search for extraterrestrial life". Astrobiology. 2 (3): 281–92. Bibcode:2002AsBio...2..281C. CiteSeerX 10.1.1.472.3179. doi:10.1089/153110702762027862. PMID 12530238. ^ a b Rettberg, Petra; Moeller, Ralf; Rabbow, Elke; Douki, Thierry; Cadet, Jean; Panitz, Corinna; Horneck, Gerda; Lammer, Helmut (2008). "The BIOPAN experiment MARSTOX II of the FOTON M-3 mission". 37Th Cospar Scientific Assembly. 37: 2602. Bibcode:2008cosp...37.2602R. ^ a b Surviving the Final Frontier. astrobio.net (25 November 2002). ^ Christner, Brent C. (2002). "Detection, recovery, isolation, and characterization of bacteria in glacial ice and Lake Vostok accretion ice". Ohio State University. Archived from the original on 2012-07-11. Retrieved 4 February 2011. ^ Nanjundiah, V. (2000). "The smallest form of life yet?" (PDF). Journal of Biosciences. 25 (1): 9–10. doi:10.1007/BF02985175. PMID 10824192. ^ a b c Rabbow, Elke Rabbow; Gerda Horneck; Petra Rettberg; Jobst-Ulrich Schott; et al. (9 July 2009). "EXPOSE, an Astrobiological Exposure Facility on the International Space Station – from Proposal to Flight" (PDF). Orig Life Evol Biosph. 39 (6): 581–98. Bibcode:2009OLEB...39..581R. doi:10.1007/s11084-009-9173-6. PMID 19629743. Archived from the original (PDF) on 10 January 2014. Retrieved 8 July 2013. ^ Tepfer, David Tepfer (December 2008). "The origin of life, panspermia and a proposal to seed the Universe". Plant Science. 175 (6): 756–760. doi:10.1016/j.plantsci.2008.08.007. ^ "Exobiology and Radiation Assembly (ERA)". ESA. NASA. 1992. Retrieved 22 July 2013. ^ a b Zhang (1995). "ERA-experiment "space biochemistry"". Advances in Space Research. 16 (8): 119–129. Bibcode:1995AdSpR..16..119D. doi:10.1016/0273-1177(95)00280-R. PMID 11542696. ^ Vaisberg, Horneck G; Eschweiler U; Reitz G; Wehner J; et al. (1995). "Biological responses to space: results of the experiment "Exobiological Unit" of ERA on EURECA I". Adv. Space Res. 16 (8): 105–18. Bibcode:1995AdSpR..16..105V. doi:10.1016/0273-1177(95)00279-N. PMID 11542695. ^ "BIOPAN Pan for exposure to space environment". Kayser Italia. 2013. Retrieved 17 July 2013. ^ De La Torre Noetzel, Rosa (2008). "Experiment lithopanspermia: Test of interplanetary transfer and re-entry process of epi- and endolithic microbial communities in the FOTON-M3 Mission". 37th COSPAR Scientific Assembly. Held 13–20 July 2008. 37: 660. Bibcode:2008cosp...37..660D. ^ "Life in Space for Life ion Earth – Biosatelite Foton M3". June 26, 2008. Archived from the original on 22 February 2013. Retrieved 13 October 2009. ^ Jönsson, K. Ingemar Jönsson; Elke Rabbow; Ralph O. Schill; Mats Harms-Ringdahl; et al. (9 September 2008). "Tardigrades survive exposure to space in low Earth orbit". Current Biology. 18 (17): R729–R731. doi:10.1016/j.cub.2008.06.048. PMID 18786368. ^ de Vera; J.P.P. ; et al. (2010). "COSPAR 2010 Conference". Research Gate. Retrieved 17 July 2013. ^ Tepfer, David Tepfer; Andreja Zalar & Sydney Leach. (May 2012). "Survival of Plant Seeds, Their UV Screens, and nptII DNA for 18 Months Outside the International Space Station". Astrobiology. 12 (5): 517–528. Bibcode:2012AsBio..12..517T. doi:10.1089/ast.2011.0744. PMID 22680697. ^ Scalzi, Giuliano Scalzi; Laura Selbmann; Laura Zucconi; Elke Rabbow; et al. (1 June 2012). "LIFE Experiment: Isolation of Cryptoendolithic Organisms from Antarctic Colonized Sandstone Exposed to Space and Simulated Mars Conditions on the International Space Station". Origins of Life and Evolution of Biospheres. 42 (2–3): 253–262. Bibcode:2012OLEB...42..253S. doi:10.1007/s11084-012-9282-5. PMID 22688852. ^ Onofri, Silvano Onofri; Rosa de la Torre; Jean-Pierre de Vera; Sieglinde Ott; et al. (May 2012). "Survival of Rock-Colonizing Organisms After 1.5 Years in Outer Space". Astrobiology. 12 (5): 508–516. Bibcode:2012AsBio..12..508O. doi:10.1089/ast.2011.0736. PMID 22680696. ^ Neuberger, Katja; Lux-Endrich, Astrid; Panitz, Corinna; Horneck, Gerda (January 2015). "Survival of Spores of Trichoderma longibrachiatum in Space: data from the Space Experiment SPORES on EXPOSE-R". International Journal of Astrobiology. 14 (Special Issue 1): 129–135. Bibcode:2015IJAsB..14..129N. doi:10.1017/S1473550414000408. ^ a b Schulze-Makuch, Dirk (3 September 2014). "New ISS Experiment Tests Organisms' Survival Skills in Space". Air and Space Magazine. Retrieved 2014-09-04. ^ "Spacewalk Marks End of ESA's Exposed Space Chemistry Experiment". ESA. February 3, 2016. Retrieved 2016-02-09. ^ Yokobori, Shin-ichi et al (2010) Microbe space exposure experiment at International Space Station (ISS) proposed in "Tanpopo" mission. Research Gate. ^ Yano, H. et al. (2014) "Tanpopo Experiment for Wastrobiology Exposure and Micrometeoroid Capture Onboard the ISS-JEM Exposed Facility." 45th Lunar and Planetary Science Conference. ^ Tanpopo mission to search space for origins of life. The Japan News, April 16, 2015. ^ Yuko, Kawaguchi (13 May 2016). "Investigation of the Interplanetary Transfer of Microbes in the Tanpopo Mission at the Exposed Facility of the International Space Station". Astrobiology. 16 (5): 363–376. Bibcode:2016AsBio..16..363K. doi:10.1089/ast.2015.1415. PMID 27176813. ^ Wickramasinghe, M.K. ; Wickramasinghe, C. (2004). "Interstellar transfer of planetary microbiota". Mon. Not. R. Astron. Soc. 348: 52–57. Bibcode:2004MNRAS.348...52W. doi:10.1111/j.1365-2966.2004.07355.x. Crick, F (1981), Life, Its Origin and Nature, Simon & Schuster, ISBN 978-0-7088-2235-7 . Hoyle, F (1983), The Intelligent Universe, London: Michael Joseph, ISBN 978-0-7181-2298-0 . Look up panspermia in Wiktionary, the free dictionary. Francis Crick's notes for a lecture on directed panspermia, dated 5 November 1976. "Earth sows its seeds in space". Nature News. 23 February 2004. doi:10.1038/news040216-20. Warmflash, D.; Weiss, B. (24 October 2005). "Did Life Come from Another World?". Scientific American. 293 (5): 64–71. Bibcode:2005SciAm.293e..64W. doi:10.1038/scientificamerican1105-64.